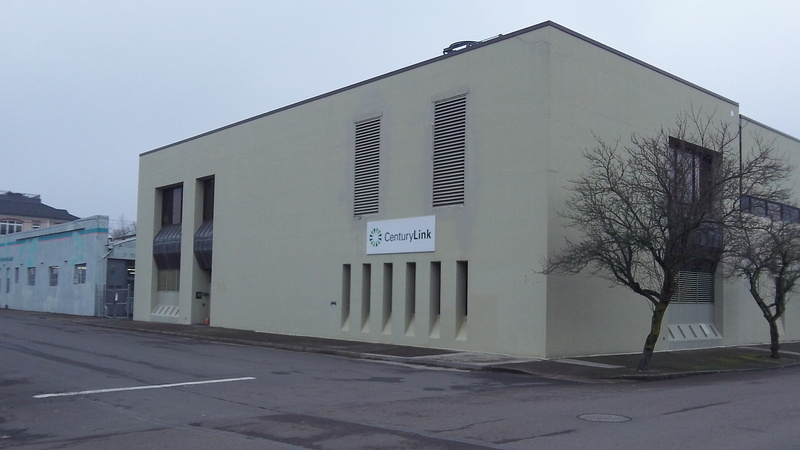 The CenturyLink building at First and Montgomery in Albany. If you have an old-fashioned land-line phone just in case you have to call 911 when the power fails and cell towers are knocked out, you may have noticed all the extra charges that drive up the monthly price. If you haven’t noticed, take a look at the next bill you get. You may be surprised. The basic price of local voice service has remained almost unchanged for years, at $12.80 a month. One long distance call adds 15 cents. So how come the bill is $31.71? And now you come to “taxes, fees and surcharges.” There are 11 of these, starting with a federal excise tax of 3 percent and ending with one cent for the Oregon Universal Service Fund. In between there are additional state and federal fees for universal service, a mysterious sounding “facility relocation cost recovery fee” of 15 cents, plus a local franchise tax of 3 percent. The franchise tax is imposed on the phone company, so you wonder why it’s you who gets billed. Anyway, it all adds up, making the monthly total more than twice the price of basic service. Several years ago, when I had a land line, I was able to get some of the fees removed by deleting my long distance service. There were some restrictions, such as not using phone cards on that line. IF you NEVER use long distance, it may be worth checking out.